China is experiencing a private sector boom according to figures released by China’s State Administration for Industry and Commerce (SAIC). The number of individually-owned businesses and private enterprises in China topped 40.6 million at the end of January this year – reporting 2 trillion yuan ($321.03 billion) in capital. 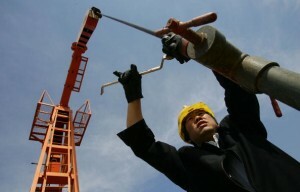 About 80 million people are employed by China’s private sector today. China’s oil mining industry, once monopolised completely by state-owned or foreign funded companies has now seen the entry of 32 private firms. A report released over the weekend by China National Petroleum Corporation (CNPC) said that after the State Council issued new guidelines in May 2010 to encourage healthy private investment. As a result more private enterprises have joined the oil and gas industry and have been playing a significant role in some sectors of the industry. Individually-owned businesses and private enterprises have been growing rapidly into a key source for China’s economic growth, fiscal revenue and employment. The country registered only 140,000 such private businesses in 1978 before the number hit a high of 31.6 million 1999. It hit a low of 23.5 million in 2004 but started to grow again rapidly soon after.